Fight aging with this easy hyaluronic acid serum recipe! With as few as two ingredients you can help your skin to appear more youthful! This hyaluronic acid serum recipe creates an amazing anti-aging gel that hydrates skin, helps to fight aging and reduce skin inflammation as well as increase skin elasticity. 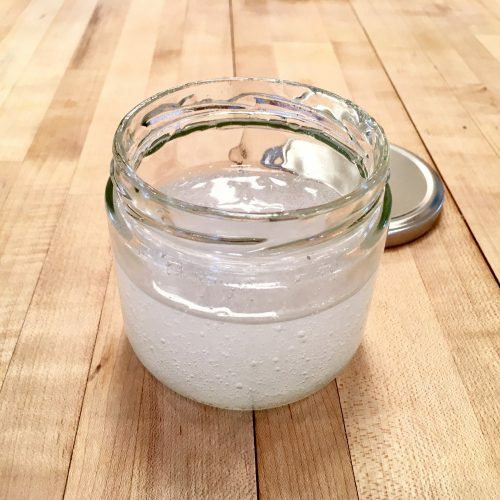 This hyaluronic acid serum recipe is made using Bos Essentials Hyaluronic Acid Powder and offers an economical way for you to create your own anti-aging beauty products. Plus it really is so easy to make! Place the serum in the refrigerator until it gels and is no longer grainy. To use simply apply the gel to your face and neck prior to using your moisturizer or makeup. Want to supercharge this hyaluronic acid serum recipe with vitamin C? Here’s how! Then combine a few drops the dissolved Ferulic Acid with 2 Tablespoons Bos Essentials Vitamin C Powder and 4 Tablespoons of water. Finally, once all the ingredients have dissolved add 1/2 teaspoon Bos Essentials Hyaluronic Acid Powder. (You can optionally also mix in 1/2 teaspoon of vegetable glycerin.) Refrigerate until gelled and apply prior to other beauty products as the first step in your beauty routine. Use it in an anti-aging under eye cream! You can also use the Bos Essentials Hyaluronic Acid Powder in my anti-aging under eye cream recipe for additional anti-aging and moisture benefits! 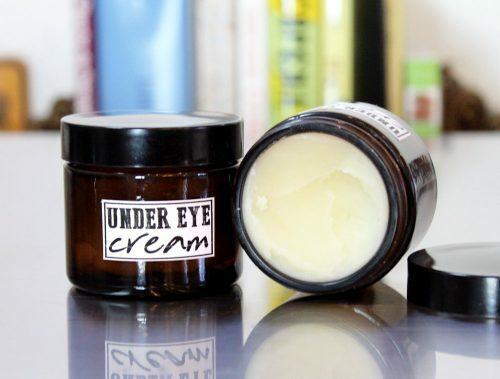 You can find my anti-aging under eye cream recipe here. 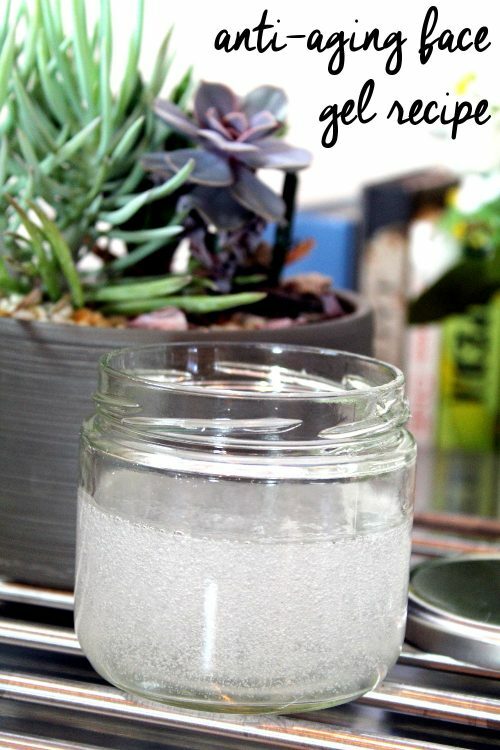 For more great skin care DIY’s like this one, be sure to follow my boards on Pinterest. This cucumber eye gel recipe is made using the naturally anti-inflammatory cucumber, an alkaline-packed powerhouse that’s high in Vitamin C that skin loves. As I approach the big 3-0, I’m noticing just how much less money I’m spending on happy hour drinks and instead allocating towards a good skincare regimen. I can tell you that, in the last year, I’ve moisturized approximately 250% more than any other year of my life. While I welcome and embrace proof of the time passing on my face, I know that aging gracefully and responsibly means treating my largest organ (my skin) the right way. But the thing is, the right way doesn’t need to be expensive when you can use nature’s bounty to treat your skin. 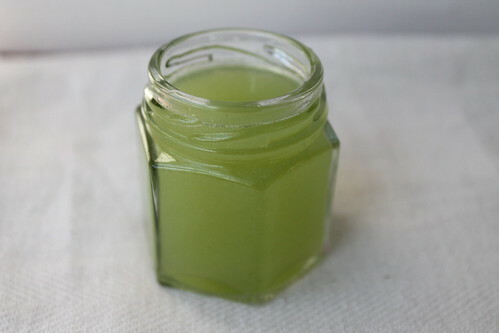 This eye gel recipe is easy and inexpensive, using the anti-inflammatory properties of the cucumber. Cucumbers, in addition to being alkaline-packed powerhouses in the juicer, are high in Vitamin C. Puffy, swollen skin will soak that stuff right up. Let me show you how easy this is. 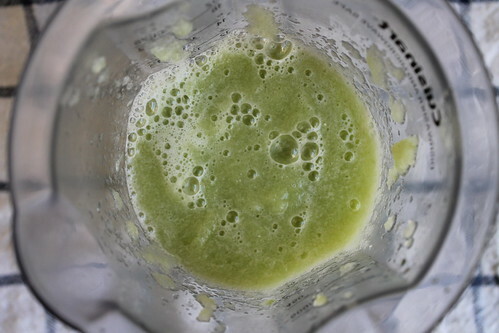 Blend the cucumber with an immersion blender or in a food processor until liquid. Strain the juice of the cucumber through a fine sieve and set aside. 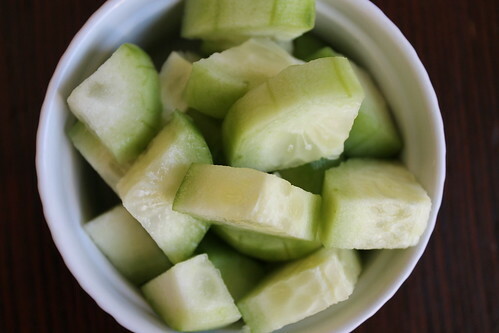 Place the aloe vera gel in a small bowl and mix in 2 tbsp cucumber juice. Whisk well until combined and pour into bottle. Shake gently and place in the fridge to chill for 1 hour before using. Shelf life is 3 months (in the refrigerator). Apply under and around the eyes before bed.